On behalf of the congregation at the Nassau Presbyterian Church, I greet you in the name of Christ Jesus. 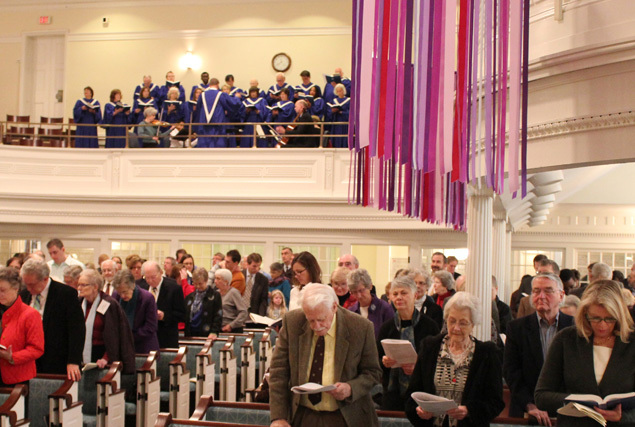 I invite you to learn more about the life and spirit of our church and I hope you will experience Nassau Presbyterian Church as your family of faith and our Sanctuary as your home. Please join us for worship on Sunday mornings (see This Sunday for worship times and details). Please say hi to a church member or staff person, and it would be my privilege to meet and speak with you. Nassau Presbyterian Church is accessible. The ramp entrance to the building is from the parking lot. We provide assistive hearing devices and large-print worship bulletins and hymnals. Learn more at Access Nassau and please feel free to ask an usher for any specific need you may have. We all look forward to welcoming you with warmth and care because your presence within our community of faith means everything to us.